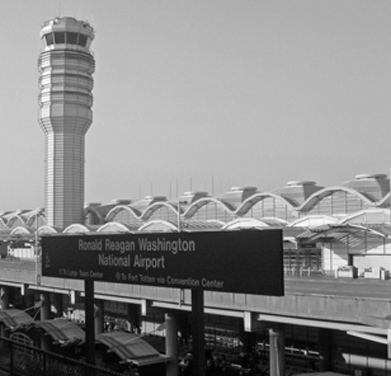 Need a reliable transportation to and from Ronald Reagan National Airport? Northern Virginia Checker Cab provides a prompt and reliable DCA taxi service. If you are travelling and don’t want to leave the car at the airport parking lot unattended, or pay for a parking space, the most convenient way is to schedule a pickup using Voice Search function on your smartphone and “taxi near me” phrase. Your luggage will be taken care of, with our help you with it and you will be provided a reliable DCA cab service. DCA airport operates domestic and international flights for Washington DC and surrounding areas. Its main users are American Airlines and Delta Air Lines. More than 21 million passengers pass through it every year. Our drivers are seasoned professionals who know the local area and the traffic volumes depending of the time of day, season, holidays and weather. That means that they will always choose the fastest routes and that they will avoid traffic jams at all cost. You can rest assured that you will get to the airport just in time of your flight. Schedule a pick-up in advance and don’t think about the transportation and airport transfers – leave the hassle to us, and you just sit back and relax. If you book in advance, a car will be waiting for you at the airport as soon as you land, and you can jump right in the comfortable vehicle and rest after distressful, long flights. Our vehicles are well-maintained and thoroughly inspected on a daily basis, making sure no car exits the streets until it’s given a proper onceover. Hygiene and cleanliness is an absolute must for Nova Checker. Business and corporate clients who need a reliable transportation around Prince William County and Manassas area can rely on our premium taxicab services and great rates. Being on time is important, and you can rest assured that with us you will get wherever you need to go fast and without compromising your safety. That is precisely what we offer. Schedule a pick-up at +1 703-257-0222, or simply book via our mobile application or booking engine on our website.